The nature and experience of work is changing rapidly. Digital technology is causing changes not seen since the industrial revolution with recent research finding that almost 10% of Irish jobs are at risk of being automated. At the same time, many workers have increasingly insecure work situations due to casualization, zero-hour contracts and other exploitative practices. It is thus hardly surprising that an increasing number of people are now choosing the self-employment route, with many desiring to be their own boss, work in more flexible contracting arrangements, or achieve a better work – life balance. Indeed, those entering the workforce today are likely to have very different careers and jobs compared to previous generations. Business and government need to react to this revolution. They need to rethink and reinvent the traditional employer / employee relationship and implement new models of organisation, work and processes. 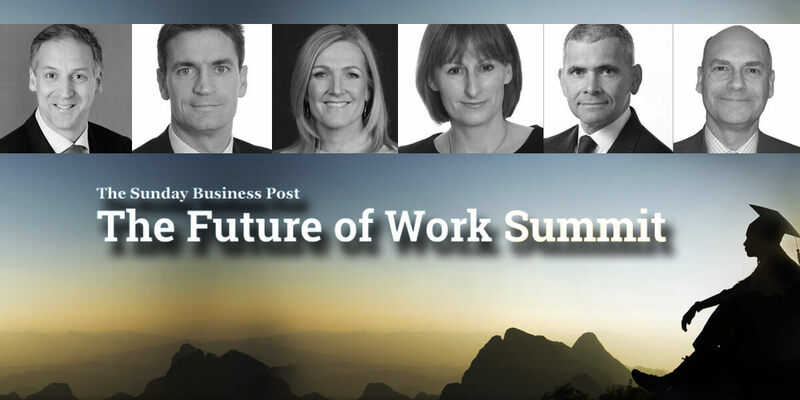 It is against this backdrop that we have decided to launch The Inaugural Future of Work Summit – an event which will consider and debate the specific needs of employees and employers alike during the new era of digitisation and new working models.